Microsoft, Intel, Asus and the other PCs makers have started picturing dual-screen Ultrabooks, with both sides of the laptop-tablet now sporting LED screens. It looks like the dual-screen setup may not be just for phones and pocketable devices as the laptops will join the push soon, and some models are likely on the horizon for public release. Microsoft’s Surface 2-in-1 lineup is indeed innovative and productive, and it will continue to exist, but evolving the category is necessary to stay ahead. Google is on the rise with its Chromebook vision, and the PC market is stagnant. Microsoft has already modified Windows 10 to support digital inking and improved multitasking. Windows 10 is almost ready for dual-display PCs, and the concept begins to make sense. Microsoft’s partners also see the PC industry moving toward in the future in a similar concept. The flexible form factor is not only innovative but also productive. The dual-screen PCs are a trend that sooner or later more and more tech companies would embrace. Let’s take a closer look at dual-screen Windows PCs from Intel, Asus, Lenovo and others. 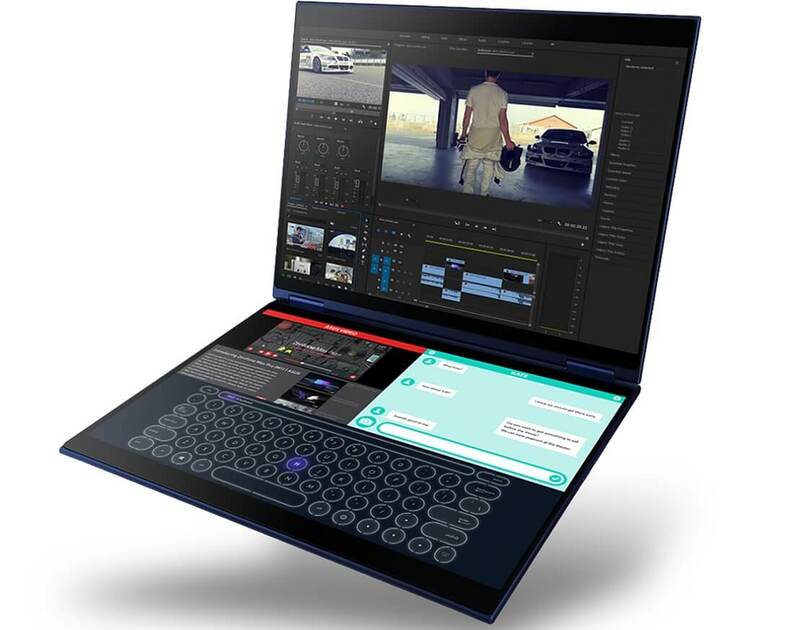 Intel is building its very own dual-screen PC with Microsoft’s Windows 10, and the company at Computex also unveiled new prototypes of a project codenamed Intel Tiger Rapids. The prototype of Tiger Rapids features two displays and electronic paper displays (EPD). Intel used a hinge to connect two screens, and it helps the device support multiple form factors. It’s a not a smartphone or tablet. The device uses two large displays of 7-inch each. 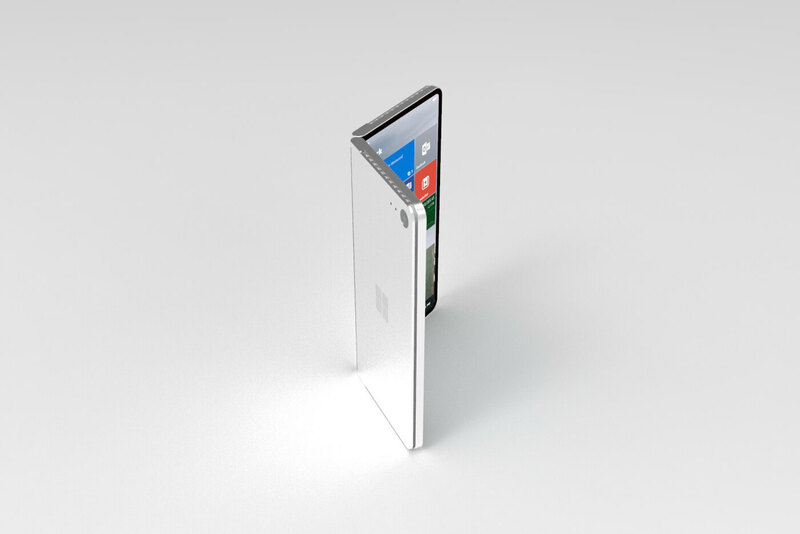 The hinge appears to be the key feature of the device, as it can help the dual-screen PC to turn from tablet to laptop on the go. The Tiger Rapids uses a 7.9-inch EPD display and it can simulate regular paper feel, thanks to the special texture coating on the display. 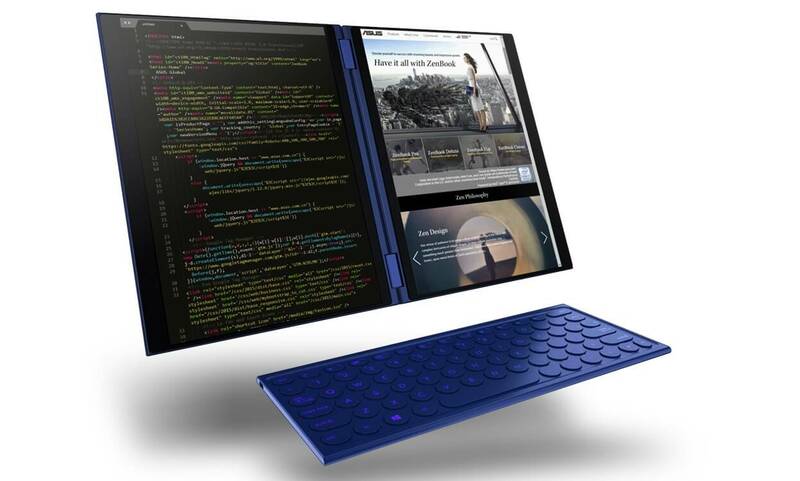 It’s aimed at digital artists, and one of the screens can be turned into a keyboard when typing. Interestingly, despite the fact that it uses two large displays, full Windows 10 and hinge technology, it could offer up to 15 hours of battery life per charge. The device seems to be appropriate for almost everyone looking to replace tablets and laptop for on the go productivity. Asus was also talking about the future of computing at Computex 2018, and the company presented its new project codenamed Precog. Asus Precog features two screens and it’s a laptop-form factor device with regular screen size. They’re planning to bring it to market in 2019, and it would run Microsoft’s Windows 10. The hardware we saw at Computex was impressive, although it remains to be seen how Asus and Microsoft will get Windows 10 work with it. The future-looking conceptual hardware platform also uses AI and Machine Learning to enhance the experience. As the device is made of two displays, Asus is using a virtual keyboard, and the company plans to use proximity sensing tech and AI to show the keyboard where you want. It might sound like a gimmick but it’s really not. It’s a smart implementation, and it’s exactly the laptop of the future you might have long dreamed of. Asus would try to make it all work smoothly and smartly. So it’s likely that Precog would be super expensive as it features some serious innovative hardware. 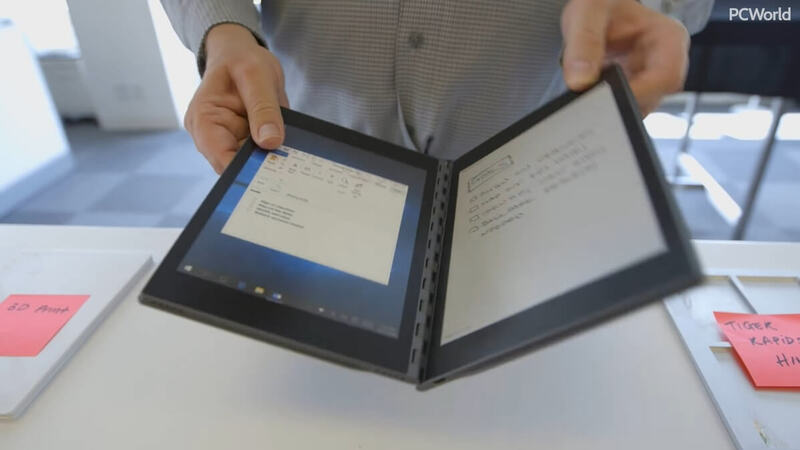 Lenovo at Computex also presented the Yoga Book 2 with dual-screens, and one of the screens feature a virtual keyboard. Lenovo hasn’t yet revealed the specifications of the Yoga Book 2, but it’s more or less an innovative dual-screen device. Microsoft and Dell are yet to announce their dual-screen projects, but the reports have confirmed that software giant is working on Andromeda (often referred to as Surface Phone) and Dell is working on Januss. Microsoft’s Andromeda is projected to see daylight sometime this year, and it would come in the form of the Courier. Just like the Tiger Rapids, you would be also able to take notes, draw the creative arts, make presentation notes and more on the dual-screens of Andromeda. Dell is also believed to be working on a dual-screen model, and Januss would run on ARM chips. It’s likely that the device will feature note-taking capabilities as well and it would be as productive as a laptop. None of the devices is a confusing amalgamation of dual-screened laptops. It is exactly what the future of PCs could be. What do you think of dual-screen Windows PCs? Let us know your thoughts in the comments below.